Paul Spudin riffs on the moon's offerings. Easy come, easy go. The United States worked hard to put people in the moon in the 1960s. Then, after achieving the goal with more landings over three years, we left in 1972 and have not been back since. 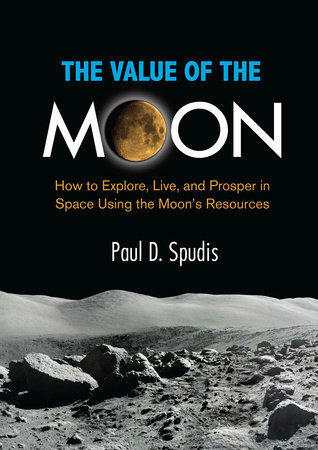 Dr. Paul Spudis, a geologist and lunar scientist, thinks it's time we returned. In The Value of the Moon, he makes the case for using the moon, both for its location outside of near-Earth orbit, and for its resources. He explains what those resources are in his book and in a visit to The Exchange. Adam Steltzner takes us to Mars. If you like those pictures the Curiosity rover sent back from Mars, you're thinking good thoughts about the work of Adam Steltzner. He should be a household name--on two planets. He led one of the critical teams that got the rover set up on Mars, a team that had to plow through many obstacles to achieve its mission. It IS rocket science, but a whole lot more, a story Steltzner tells in his book The Right Kind of Crazy.